Beach Lifeguard Training Courses, Work On The Beach This Summer! Newquay Activity Centre is proud to offer the new international standard of Beach Lifeguarding, the National Vocational Beach Lifeguard Qualification (NVBLQ) in Newquay. Do you have the fitness and determination to chase a dream job and become a qualified beach lifeguard? This award gives you the core resources needed for a future in any ocean-based vocation and will set you up for a life of coastal expertise! During this 40-hour course you will receive comprehensive instruction on beach lifeguarding and rescue techniques, first aid, life support, ocean skills and pool skills. You’ll also cover lifeguarding theory in classroom sessions to underpin your practical training. The NVBLQ is endorsed by the International Life Saving Federation and Surf Lifesaving GB (SLSGB) and will enable you to work around the globe as a fully qualified Beach Lifeguard. It is also the preferred qualification for consideration into the Royal National Lifeboat Institution (RNLI). This course requires competent swimming skills and a high level of fitness. You will be tested in both during the week through a timed pool swim and a final skills / scenario assessment. Newquay Activity Centre in Cornwall is a certified ISA and Surfing England Centre of Excellence and NVBLQ Training Centre. This means you’re guaranteed the highest level of tuition in the industry. So drop us a line or give our team a call and we’ll sort you out, proper job! Call 01637 877722, lines open from 8am-10pm. Specific lifeguarding experience is not required, as you will cover everything you need during the comprehensive course. 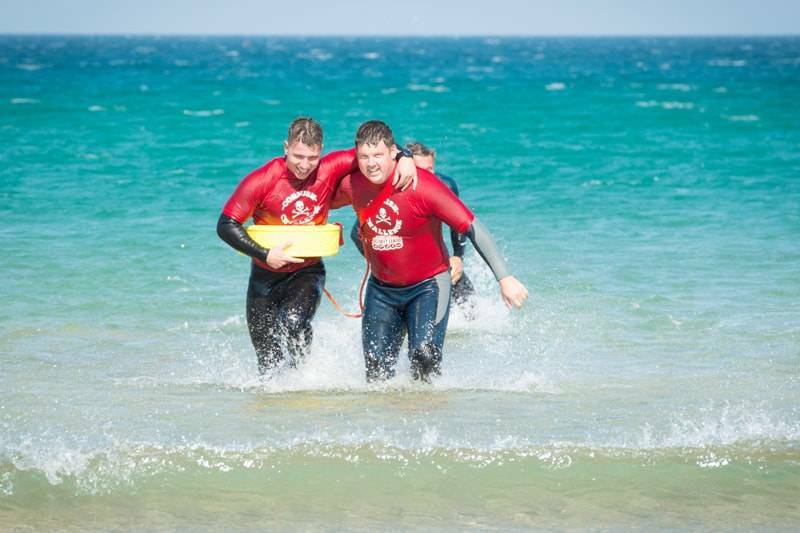 However, previous water experience will help with your ability to tackle essential lifeguarding tasks and techniques, including rescue board paddling and swimming out through surf. Extra background knowledge about the coastal environments will also be useful. If I want to become a Surfing Instructor, do I need to do the NVBLQ course? The NVBLQ is the core qualification for any lifeguarding position. However, there is the option to do a combined course called the Surf Coach Safety and Rescue award, specifically designed for outdoor instructors who need a lifesaving qualification. It will take 40 hours to complete. What equipment will we use? During the course you will learn to use surf rescue boards, Peterson rescue tubes, first aid kits and lifeguarding equipment for injury treatment and stabilisation.